Even if you have a well-fenced backyard where your pets can run, play and explore, you may still need a dog run. This is particularly true if you have an at-home daycare, do a lot of outdoor entertaining, or have a dog that is a fence jumper, digger or otherwise-creative escape artist. You may also need a separate space for your dog to enjoy while you are away from home if he or she likes to dig in your flowerbeds or roll around in your vegetable garden – or if you want to designate a restroom area to avoid brown spots in your natural grass lawn. Whatever the reasons for needing a dog run, most homeowners would prefer an enclosure that complements their landscape design and does not take away from the overall look of their yard. For those who are not overly concerned with the look of their kennel, portable options are available for less than $100 and can be easily setup in an afternoon, but this type of structure is not going to work for homeowners who care about the visual appeal of their outdoor living spaces. After all, chain link fencing – which is what most portable, pre-made dog runs are made of – does not go well with a beautiful paving stone patio, manicured flowerbeds or perfectly placed water features. So, it’s a good thing that there are plenty of other options for building an attractive dog run that both you and your furry friends will love! 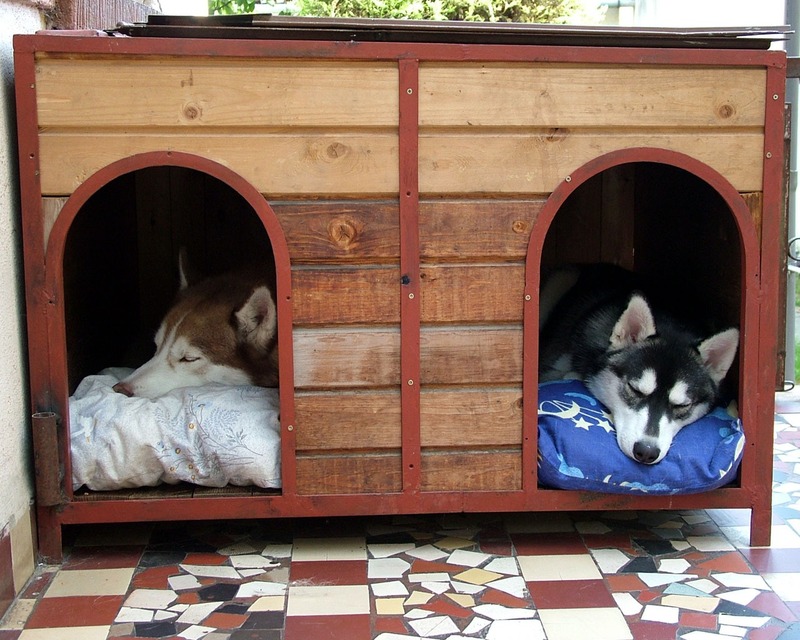 The first step in building an enclosure for your dogs is to pick a spot that will work well for you and them. It should be out of the way enough to not interfere with outdoor entertaining or activities, but still close enough to the house for you to be able to check on your dog periodically. If you want your dog to be able to go in and out of the house while you are not home without needing to leave a door open, you may want to consider placing your outdoor kennel adjacent to a side door with a doggie door installed. Or, if you have an appropriately sized side yard that you are not using for storage or as a vegetable garden, you may want to place your enclosure there, which will ensure that it is out of the way and allow you to use less fencing, since you will only need to close off each end of the space. The spot you choose should be in partial shade to allow your dog to get out of the hot San Diego sun and should be close to a water source to make rinsing down the run and filling up water bowls more convenient. If it is not possible to build a dog run in the shade, you can also add shade to the area with a dog house, cover or patio umbrella. 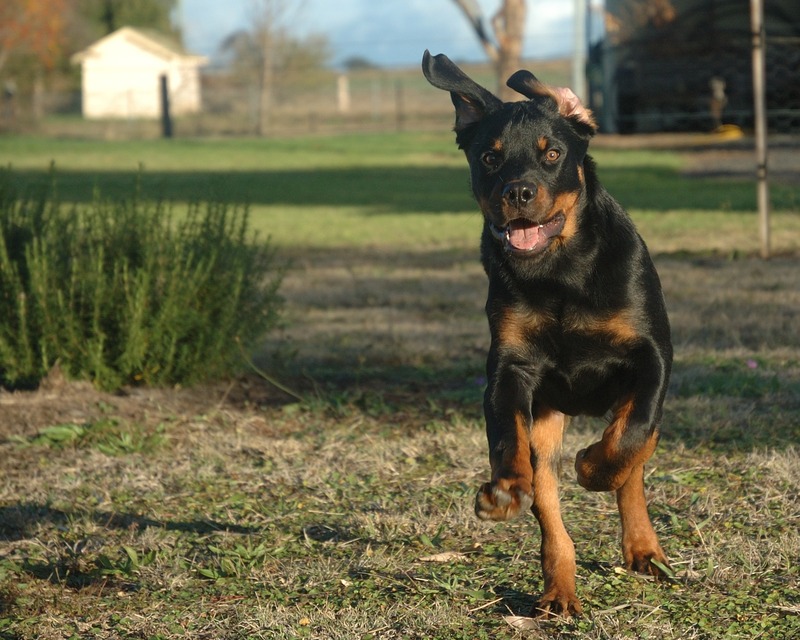 You should also pick the largest spot possible, particularly if your dog will be spending a lot of time in the enclosure, to make sure that he or she has plenty of room to run, play and explore without feeling cramped in a small space. At minimum, the space should be at least twice as wide and about five times as long as the length of your dog. You should also choose a spot with good drainage to ensure that your dog will not be standing in mud or water if it happens to rain. Depending on the height and size of your dog run, you may need to obtain a permit prior to constructing it. Check with your local governing body to see if a permit is required for your design. If you have a big, strong dog, you will need to pay more attention to choosing sturdy fencing material. If you have a jumper or climber, you will need to build a taller dog run or put a top on the enclosure to keep him or her inside. You may also want to put a roof on your run if part of its purpose is to protect your pets from wild animals – such as mountain lions or coyotes – living in your area. If you have a digger, you will need to take special precautions when constructing your run, such as burying the fence below ground, adding chicken wire under the groundcover around the edges or installing a paving stone border to prevent digging. If you plan on placing the enclosure adjacent to an exterior door that has a doggie door, make sure you design the run to be tall enough for you to conveniently use the door to access the area. Finally, you will need to decide if you want to purchase a pre-made, portable dog run or construct a permanent enclosure. While portable runs are generally more affordable, and are easy to remove or relocate, they may not be sturdy enough for a determined escape artist and likely will not complement your landscape design as well as a custom-built enclosure. Chain link fencing is the most common type of enclosure, most likely for its many beneficial qualities, including affordability, sturdiness and availability. 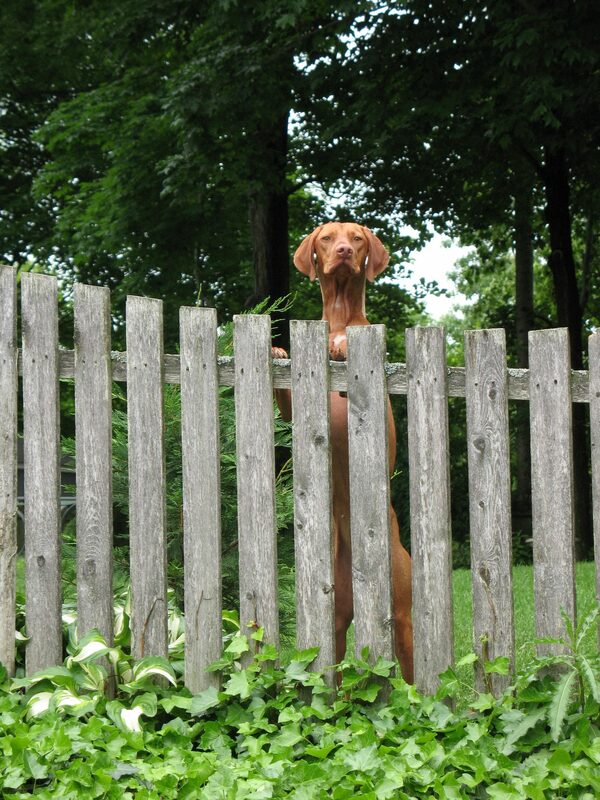 It also allows your dog to see out through the fence with ease and for you to see in to conveniently check on your dog. However, this is definitely not the best-looking option available and likely will not appeal to homeowners who have invested their time and money in creating an attractive backyard. Of course, there is an easy, affordable way to make this inexpensive dog run fencing option a viable option for higher-end backyards: You can paint it. Painting chain link fencing dark green will make it blend in better with a lush lawn or landscaped yard, while painting it dark brown will allow it to blend in better with wooden fences or wood chip groundcovers. If you do plan to paint your fence, make sure you use a non-toxic product that is intended for outdoor use. You can also use wood or ornate metal fencing to give your dog run a higher-end look, just make sure the spaces between the wood or metal are large enough for your dogs to see out – and you to see in – but narrow enough that they cannot get their head through the fence. The option that most perfectly balances affordability and visual appeal is usually plastic-coated wire fencing with wood posts. This attractive option provides the sturdiness you need for most dog breeds, looks considerably better than chain link fencing and is more affordable than wood. All of these options are available at home and garden centers, so you can easily compare sturdiness and price before making your final decision. When looking for wood posts for your run, naturally durable options – such as redwood and cedar – offer a higher-end look; however, treated lumber is a more affordable option and will also do the job. Many single-family homes have a long, narrow side yard between the house and the boundary fence. If you have this option at your home, you may want to consider simply putting a fence or gate at each end to create an inexpensive dog run with the added benefit of shade from the house and fence. 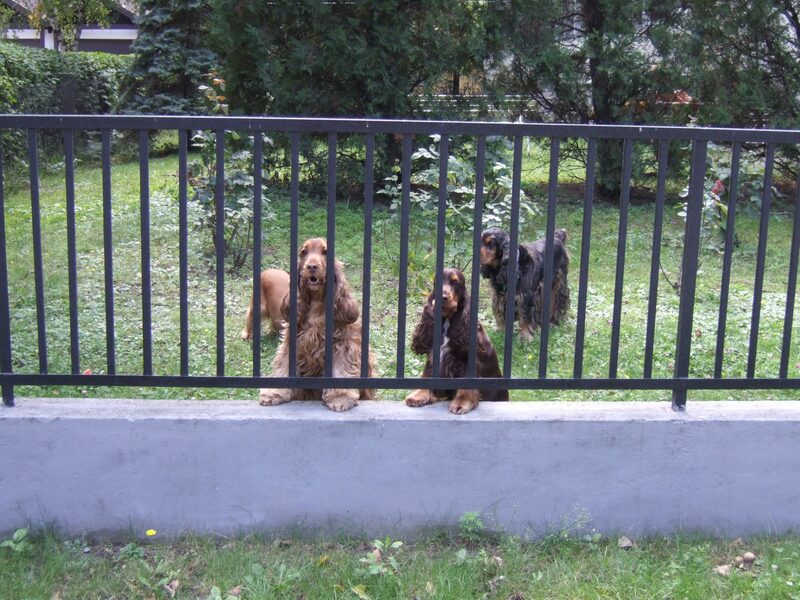 If your dog is an escape artist, make sure you choose a gate latch that he or she cannot open. You may be able to build a dog run on existing groundcover if it is safe for your pet and allows for proper drainage. Natural grass provides a soft groundcover that most dogs enjoy. While this is a popular option that many homeowners use, there are some factors to take into consideration before placing your run over conventional grass. For example, you will need to care for this grass just like you would a lawn, which means regular mowing, watering and weeding. You will also need to be sure to use only non-toxic insecticides and herbicides, will have to contend with brown spots in areas often used as a pet restroom and will need to pay attention to the strong potential for bacterial buildup in the soil. If your dogs are active, you may also have to deal with bare spots left by clumps of grass being pulled up during play. Some dog owners prefer the look of wood chips placed over landscaping fabric, which is another popular option. This groundcover will definitely make your dog run more visually appealing; however, wood chips provide a good breeding ground for bacteria – particularly because you cannot simply rinse urine out of the run, and you will need to regularly add more wood chips to replace those lost when picking up solid waste and to keep this option looking fresh. Gravel is a rather popular option for dog runs and can be a good choice. 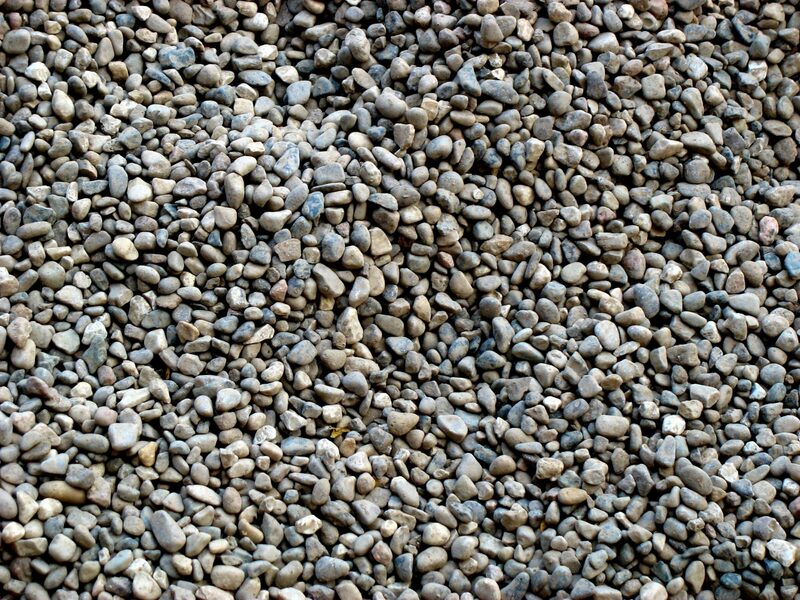 If you want to go with gravel, make sure you choose pea gravel, which is usually rounder and does not have quite as many sharp edges as other types of gravel. Gravel can be hard on your dog’s feet, so it is not a good option for dogs with sensitive paws. It is also not a good option for dogs who like to chew on rocks, since it can cause significant dental damage. A concrete pad is easy and inexpensive to pour, making this an option that many homeowners choose. A concrete dog run can simply be rinsed down to remove liquid waste, and solid waste is very easy to remove. Dogs with sensitive paws may find this option to be a bit abrasive, and make sure there is plenty of shade if you plan to use this option in sunny Southern California where concrete can become quite hot quite quickly. Creating a paving stone floor for your dog run is more expensive than pouring concrete, but it is also far more visually appealing. This option provides a slip-resistant surface that allows for easy solid waste removal and easy cleaning by simply rinsing it off with a garden hose. Paving stones can also become warm in direct sunlight, so shade should be a priority if you choose to use pavers for the entire floor of your enclosure. Building your dog run on existing dirt is the cheapest option; although, it does not offer much in the way of visual appeal. If graded properly, this is a viable option that will help you stay within budget, but you may have the added headache of cleaning up muddy or dirty paw prints when you let your dog back in the house. This option will also likely increase dust in your yard, which may mean more frequent cleaning for patios and patio furniture. Synthetic turf provides the look and feel of natural grass without the concerns about brown spots, bare spots, mowing, watering, weeding, or needing herbicides and insecticides. Solid waste is easy to remove, urine can be rinsed away with a garden house, and you can keep a spray bottle of one part water, one part vinegar on hand to spray down areas that are frequently used for urination. Fake grass can also limit digging and is a non-toxic, pet-friendly option that requires very little maintenance. While this is significantly more expensive than other options, rubber padding is easy to clean and provides a safe, attractive surface for a dog run. 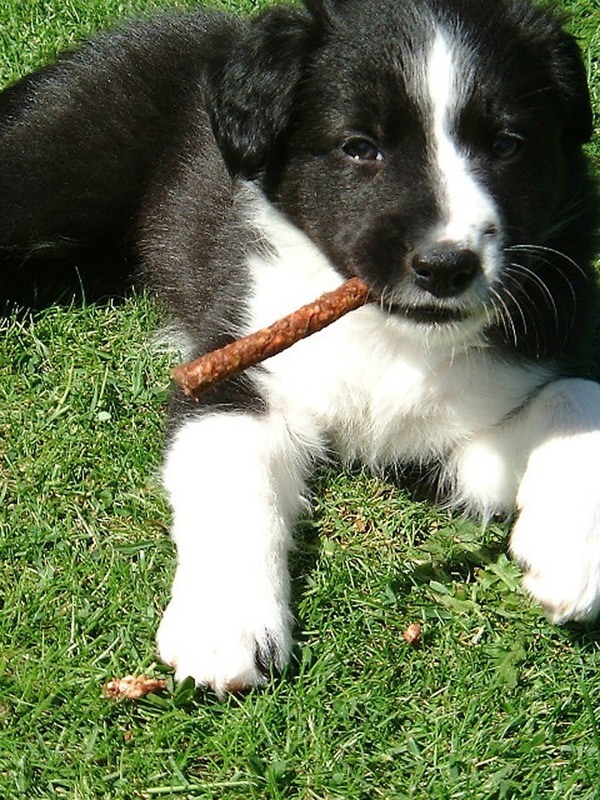 To make it even easier to clean any of these dog run groundcover options, you may want to consider the addition of a pheromone-treated urine stick, which will encourage your pets to use just that area to relieve themselves. Shade is a dog run feature of particular importance in the San Diego area, where nearly every day is a sunny day, and temperatures can soar in warmer months. It may be possible to take advantage of existing shade in your yard from trees, fences, covered patios or your house, but you may have to create shade to ensure the safety and comfort of your dog. You can either make an access point in the fence to attach a dog house to the outside of your enclosure, or place a dog house inside the dog run. A dog house will provide protection from the sun, as well as unexpected wind or rain that may occur while you are away from home. If you put a dog house inside the run, make sure your dog cannot use it as a way to jump over the fence. This can be accomplished with strategic placement or by adding a roof to your run. Installing a pergola at the entrance to your enclosure will immediately increase visual appeal while also adding some shade to the area. Small, pre-made pergolas are available at most home and garden centers, or you can construct your own. Shade structures are an inexpensive way to add shade anywhere in your yard, but you will need to choose carefully to ensure that this feature adds to the look of your yard, rather than taking away from it. You can repurpose an extra patio umbrella you have in your garage or purchase one at a patio furniture store to add a stylish shade option to protect your dog from the sun. If you plan to put a roof on your dog run, you can simply make part of it a solid cover that will block the sun and provide shade. The purpose of a dog run is to provide your dog with a safe, comfortable, enjoyable place to be when he or she is not inside with you or enjoying your full backyard. In order to make your dog run an inviting hangout and keep it from becoming a cage, choose a comfortable groundcover, provide plenty of shade, always have clean drinking water readily available, and be sure to include some of your dog’s favorite toys and a cozy place to lie down for a nap. Are you in the process of building a dog run…tell us about it in the comments below…? Photo Credits (in order of appearance): morgueFile, ozgary; morgueFile, Schick; morgueFile, pambenn; morgueFile, drotmalac; stock.xchng, bewinca; morgueFile, mzsu.